Around 10-20 years ago, a new staple began appearing in playgrounds and playing fields around the country: scrapped and ground up used tires. Originally touted as a great use for old tires, which would otherwise either be exported or burned up –thereby creating toxic fumes, crumb rubber was believed to be a green solution and a beneficial way to use an abundant form of waste. In what could be the biggest downside to upcycling, this same crumb rubber is currently being examined for its potential toxicity to people, pets, and the environment as a result of its decomposition process. What’s currently lacking are formal studies showing a link between crumb rubber playgrounds and playing fields and health risks including cancer; so numerous sports coaches, educators, and legislators are asking that greater attention be paid and more data be gathered regarding this material. Last year, a soccer coach spoke out regarding the need for more information after she collected her own data and found that numerous past and pleasant players from her team (all of whom played and practiced on the scrap rubber fields) were battling or had battled rare cancers. Other experts have cautioned that as the tires are broken down into crumb rubber and as the crumb rubber itself decomposes, toxins from the tires, including heavy metals, are leaching out. 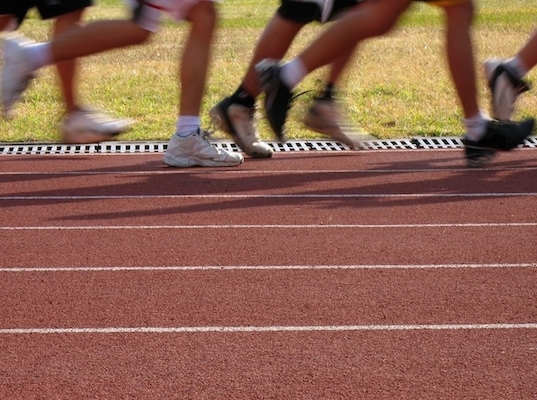 In the wake of recent concerns, some schools and local governments have scrapped previously planned projects that called for the use of crumb rubber. Aside from playgrounds and playing fields, scrap rubber is used in rubberized asphalt in roads. 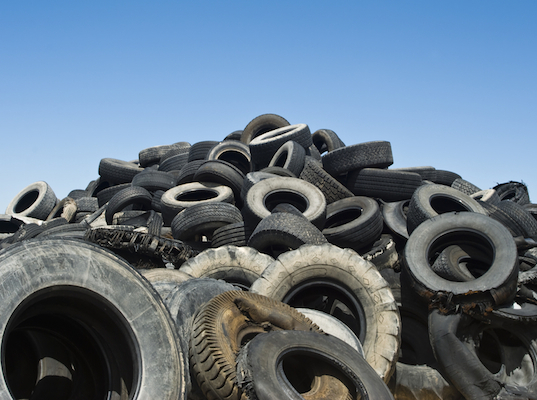 In the United States, more than 230 million tires are scrapped each year, resulting in a heavy use of landfill space. In addition to being exported to other countries or languishing in landfills, spare tires are also being burned again as a form of renewable energy. Around 10-20 years ago, a new staple began appearing in playgrounds and playing fields around the country: scrapped and ground up used tires. �Originally touted as a great use for old tires, which would otherwise either be exported or burned up --thereby creating toxic fumes, crumb rubber was believed to be a green solution and a beneficial way to use an abundant form of waste. In what could be the biggest downside to upcycling, this same crumb rubber is currently being examined for its potential toxicity to people, pets, and the environment as a result of its decomposition process. What's currently lacking are formal studies showing a link between crumb rubber playgrounds and playing fields and health risks including cancer; so numerous sports coaches, educators, and legislators are asking that greater attention be paid and more data be gathered regarding this material.